In a previous blog I explained why I think JasperReports is such a great report engine to use alongside your APEX application. In this post I would like to explain how you can integrate JasperReports in your APEX application and how you can manage a security. Since the installation of reports library is well documented by JasperReports self and since the exact install instructions depend on your setup, I will not go into explaining the installation. Instead I will take as a starting point a situation where you have a server with one or more APEX applications and a JasperReports engine. Now to call a report from your APEX application, you could add a button with a link to the report URL. Unfortunately, this would not be really flexible. Another problem would be that your URL is visible for everyone who has access to your application. A more dynamic way would be to create a procedure that builds the url for you, based on parameters that you can define and manipulate on your APEX page. You can base your procedure on the HTTP-UTIL package. Fortunately, such a package already exists. It is a free to use integration package, made by Dietmar Aust from Opal Consulting. 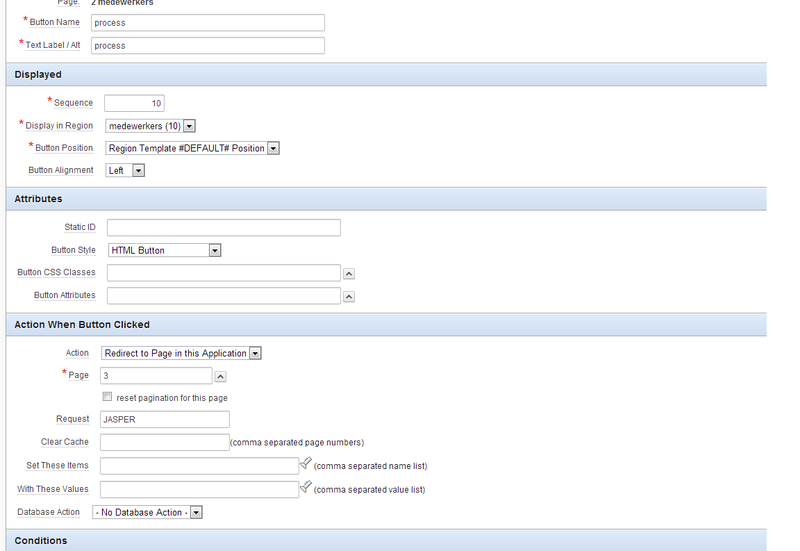 With that package installed in your database, you can create the report URL with a page process. With the process calling the report, the URL is no longer visible on your page; therefore your report localities are not immediately disclosed. So now we have a way to hide the URL, but the report can still be reached once someone somehow manages to create the URL himself. As explained on the Opal Consulting website, you can easily create an extra security layer by using a firewall. That way only the APEX engine can call the report engine and your report can no longer be called over the URL directly. A last security step that you can add is verification on session id. In APEX active sessions are stored in a table (WWV_FLOW_SESSION$). The table self cannot be queried directly, instead you can use the ‘APEX_WORKSPACE_SESSIONS’ view. 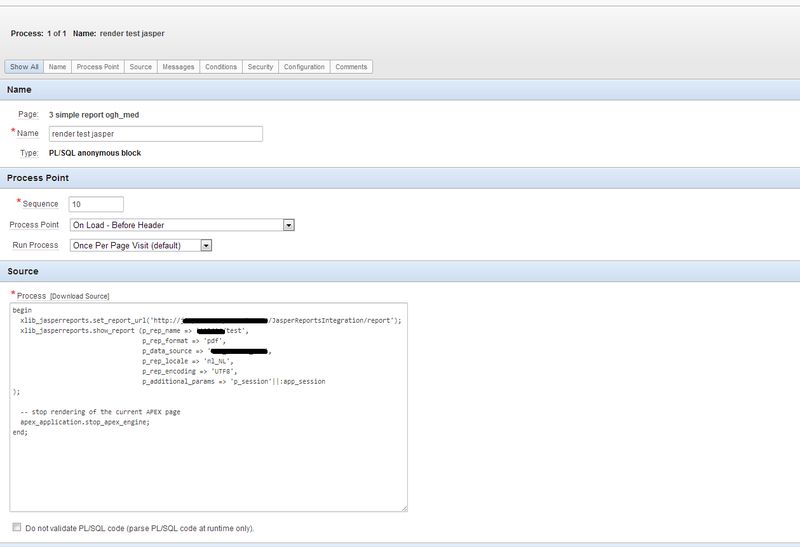 By adding a where clause to your report query, you can validate whether the calling apex session is an active one. 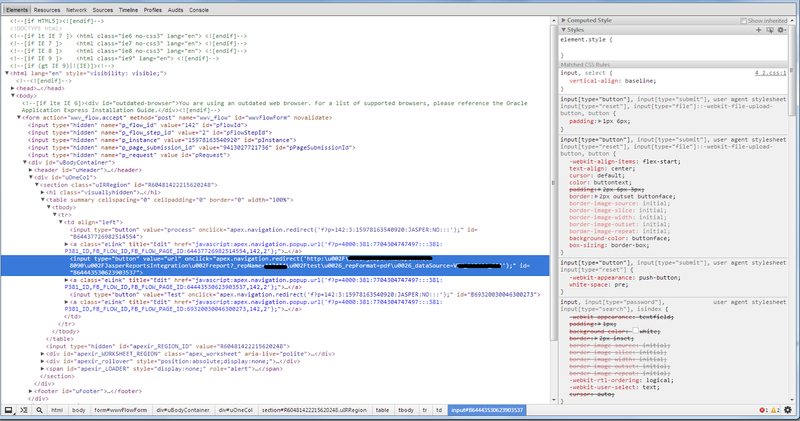 As I’ve shown in this blog, you can secure your application’s reports with a few simple steps. Hiding the calling URLs is a first and in my opinion essential step if you want to secure your reports. If you have the possibility, firewalling the report engine is strongly recommended. If that is somehow not an option, or if you want to take security a step further, you can consider validation on session id to prevent unauthorized report calls.